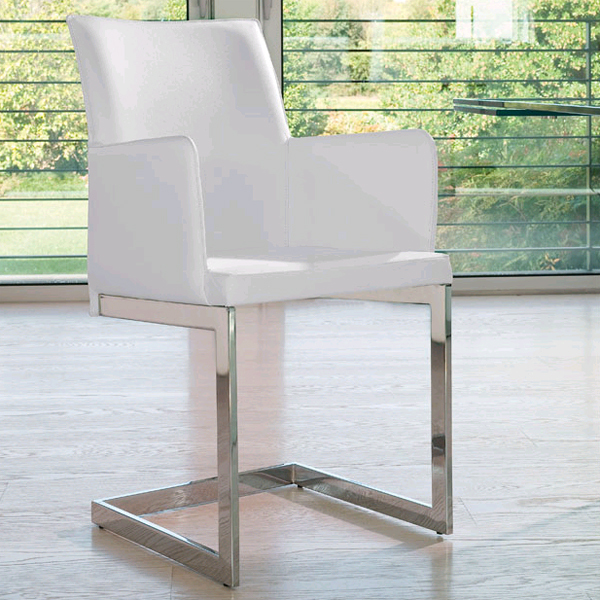 A funky contemporary dining chair with upholstered seat and arms in a wide variety of leather, fabric and synthetic leather colors. See sample links below for available colors. Chromed, white, or black steel legs.